Civic association Centrum Mandala o.s. offers courses and seminars, including programs accredited by MŠMT, venues for rent, and self-fulfillment. Centrum Mandala was founded by Zuzana Řezáčová Lukášková and Petra Železná in 2010. Today it associates a number of wonderful lecturers who will inspire you to an authentic experience of your true self and who offer an unique approach. We specialize in small group sessions in order to provide individual approach. Come to join us and discover that everyone is in control of the wheel of his or her life. Centrum Mandala offers space for self-fulfillment, rest, and relaxation as well as new perspectives on the world and much more. You can find us in the very heart of Brno in Opletalova Street (near Česká Street behind JAMU) which is easily accessible from all directions. Our centre is located on the first floor and it is open to anyone who longs for (self)discovery. Come to us to fulfill your dreams either as a course attendee or a lecturer. Join us and make the world a better place. You can check the renting conditions and space availability in our calendar. Mandala is a meeting place of cultures, religions, centuries, science, and art. It is a cross-cultural symbol of wholeness and unity. We offer space for your personal growth (using mainly art and body work). We focus especially on improvement of women's life. We support retired teachers who thanks to teaching small group classes get the opportunity of leading a more active life. We run several non-profit projects (e.g. 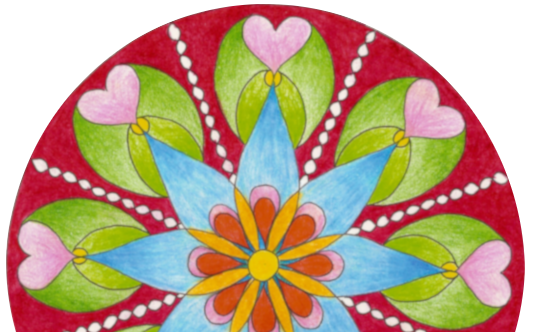 Mandala for children, Free mandala or We make dreams come true). Our seminars are paid and we also have a little shop with our products. We provide grants and ask for subsidies. We diversify our incomes, so that we are stable and so that we can keep offering high quality services for an affordable price. Collected finances cover the rent, energies (in some cases it does not cover even that), material, teacher's pay (ranging between 10 and 300,-/per hour), advertisement, education for volunteers, and little things like web hosting, domain fees, property insurance… We do not have any employees as we would not be able to pay them. Our manager works for the association full-time for free (she is supported by her husband). Everyone who is interested can have a look on our annual report.